During the Canadian National Pagan Conference, Gaia Gathering in Toronto in May 2012, there will be a concert that features the melding of the minds and voices. 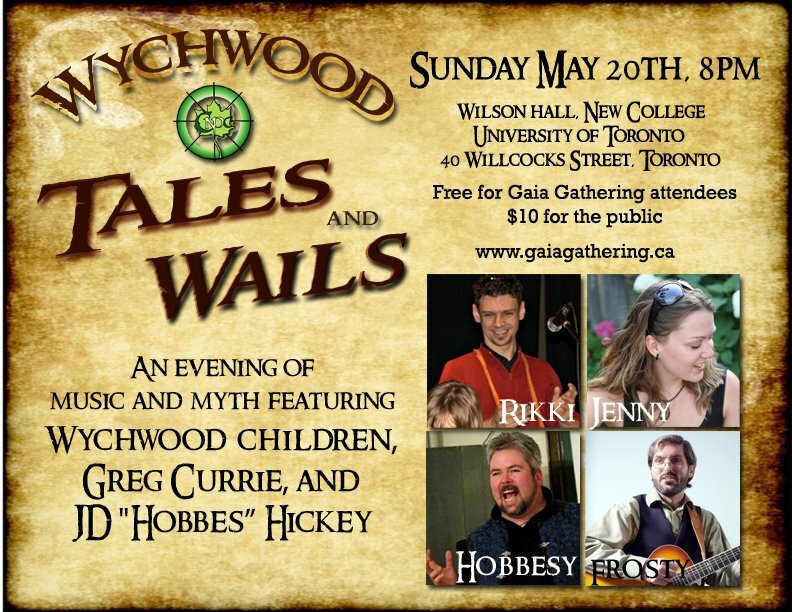 JD “Hobbes” Hickey of Montreal and the talented musicians of Wychwood Children and Greg Currie will be joining forces to create a mythical, musical epic that has rarely been attempted! You do not want to miss this unique performance! The event is free for the Gaia Gathering conference attendees and $10 for everyone else.